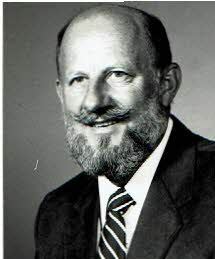 Obituary for Thomas J. Stashko | Bednarsky Funeral Home Inc.
Thomas J. Stashko, 88, passed away at Good Shepherd Village on April 9, 2019. He is survived by his loving wife of 68 years, Stella (nee Nawojczyk); children, Monica (Steve) Morris; Vicki (Pete) Moschak and Jennifer (David) Adams; grandchildren; Pete (Katie) Moschak, Thomas Moschak, Julie Adams, Sam Adams, Adam Teach, Stella Teach, Nicholas Adams, and great- granddaughter, Stella Riley Moschak. He is also survived by his sisters Loretta Crescente and Helen Kilmer; and many nieces and nephews. He was predeceased by his parents, Nicholas and Frances Stashko; his brother Steve (Florence); his sisters, Eve (Mike) Zakri, Pat (Norm) Tofte, Alice (Bill) Carter, Louise (John) Fian, Josephine (John) Solak, and Mary (Joseph) Warrick; and his brothers-in-law Carmine Crescente and Larry Kilmer. Tom loved being and doing anything outdoors, including walking, skiing and hunting. He will be remembered with love. The family wishes to thank the staff at Good Shepherd Nursing Facility and Lourdes Hospice for the care given to Tom. The support and love of Aunt Lori, Bill and Lucy Carter meant so much to Tom and his family. A Funeral Mass will be offered at 11:00 AM on Saturday at the Church of the Holy Trinity, 346 Prospect St., Binghamton. Family will receive friends at the church from 10:00 AM until the time of the Mass at 11:00 AM. In memory of Tom, please consider spending an extra moment with family, or a making a contribution in his name to Lourdes Hospice. Arrangements by Bednarsky Funeral Home, Inc.